Sponsor or advertise your business on the show!  Reserve “Pete the Job Guy” for your next big event. Coach Larry | Ready to take your career to the next level? I recently sat down with Charles Jimerson who is not only a good friend but co-founder and managing shareholder of Jimerson & Cobb, P.A. Charles, aka Charlie, served in the U.S. military while simultaneously receiving his undergrad degree. He then went on to get his Juris Doctorate at the University of Florida Levin College of Law and has practiced law since 2006. He is a guy that walks the walk and in 2018 was named by The Business Journals as one of the Top 100 Most Influential Attorneys in Law and Business in the United States. I was so excited to talk to this powerhouse and discuss New Year’s Resolutions, the importance of positivity, and goal setting for your personal and professional life. While similar in nature, Charlie suggests that instead of just having resolutions you should have a goal with trajectories and clear milestones on how to obtain it and believes that the “power is going to be in the follow through”. Charlie himself has made resolutions every year since he was 15 and is a big fan of creating a business plan every year – specifically business oriented resolutions. Charlie recommends that people make SMART goals. If you are unfamiliar with that, it is an acronym for Specific, Measurable, Achievable, Relevant and Time-bound. He believes you are more apt to accomplish your resolutions if you create them this way. Specific: Set a goal that is measurable and think specifically about what are you trying to achieve. The more specific you are, the more likely you are to get what you want. For example being happier is not a measurable goal however eating vegetables twice a day is. Measurable: Have milestones along the way. For example if you want to lose 20 pounds in a year that’s 1.6 pounds each month. Achievable: The goal has to be within reach and something you can actually accomplish so you don’t set yourself up for failure or disappointment. Relevant: Think about why you are setting this goal and if it’s relevant to the ultimate destination. Time bound: Tie yourself into a specific timeframe and set a deadline that you are constantly working towards. Charlie recommended this exercise to help you focus on what you what you are good at: choose 3 things that you’re as skilled or more skilled at than anyone else at your company. Why are you good at these things? How can you get any better? What outside forces get in the way of you getting better? What resources do you need to get better? How would your life and career change if you focused on just these 3 things? After you have written down these things, think about what you can do to reorient your life to focus on those skills. Another good exercise is to list 5 things you hate to do. After you have them written out think about which 1 you can delegate or outsource. The moral of the story is to focus on what you love and are good at, and for the things you aren’t good at or don’t enjoy, see if someone else can do them for you. You will get so much more energy and work done if you focus on your strengths instead of the things that drain you. How will I feel about it 10 minutes from now? How about 10 months from now? How about 10 years from now? He also wants to be contagiously positive and uplift those around him. The way he plans to accomplish this is by having what he calls “time-outs” throughout his day in which he will take a breath, regroup and gearshift to be more positive. I hope these tips and exercises help you make 2019 your best year yet! My thanks again to Charlie who gave us some great advice and insight on how to improve your professional and personal life. If you’d like to listen to the full podcast you can do so on petethejobguy.com or on iTunes by simply searching Pete the Job Guy for this and all of my other episodes. While compensation is not always the smartest reason to leave a position, it is often the most common motivation behind someone switching roles. The employee’s feeling of being overworked and undervalued by their employer usually drives this decision – they may not always be seeking higher compensation, rather positive recognition to show their talent is appreciated. A way for employers to remedy this is starting by listening to their employees when they are requesting a raise and simply ask “why”. If increasing the salary amount is out of reach from a budgetary standpoint, then possibly propose a little something extra like additional PTO days – Anything to make them feel heard and rewarded. No one likes to feel bored day in and day out at their job, especially IT professionals – They are used to being challenged with problems that only they know how to solve. Once a lack of interest takes over, subpar work and constant job searching on LinkedIn will be the results. Room for advancement is huge in this industry; so employers need to offer this in order to successfully retain their talent. If the company isn’t in a place to offer promotions, then there are other ways to help employees grow in the field that will also be of benefit to the employer. Offering to pay and send teams to workshops and / or leadership courses is one great way to boost their motivation and take new techniques learned back their everyday role. In this generation, company culture is everything. Millennials are persistently looking for other opportunities the moment they feel low morale in the work place and this all starts with the management. IT specialists are known to work during unconventional times, in very different environments – The last thing they desire at the office is set hours and micromanagement. Companies can work towards a solution here by offering accessible management, who are understanding of the way the “9-5” mindset is shifting and willingly adapt to that change. Offering an office environment that is transparent and appealing to the age group in today’s work force will, not only keep great current employees, but will also attract likeminded talent. While this article is tailored to those in the IT profession, these strategies can also be successfully used for other industries. Utilizing these recommended approaches will hopefully help reduce turnover, while keeping valued and hard-working employees satisfied with their current employer! Josh reaches deep into the Mail Bag and Pete answers your questions… and offers frank career advice. John Showalter joins Pete to discuss his career journey, mentor, and more! This expert show is dedicated to the workforce of today and tomorrow. Pete ‘the Job Guy’ Langlois introduces his listeners to Jacksonville’s most innovative companies, and he explores the career journey’s behind some of Jacksonville’s top influential individuals – all done with an honest and entertaining filter. Pete the Job Guy. Trademark 2018.